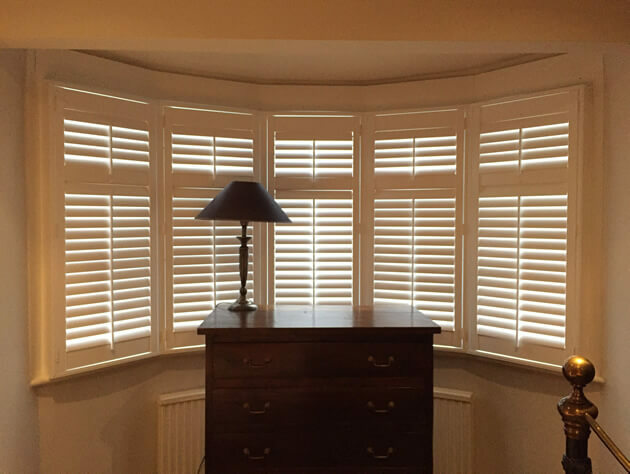 Ben was in the area of Coulsdon, Surrey to fit three sets of shutters to multiple rooms. The customer required shutters fitted to two bay windows, one downstairs in the living room, one above in the bedroom and also a standard sized set of shutters for a child’s bedroom. With all these windows facing the front of the house privacy was a concern which is just one of the reasons the customer looked to have our shutters fitted. 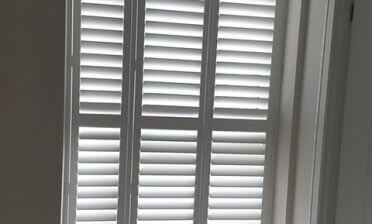 The bay windows were fitted with made to measure shutters comprising of five panels each. 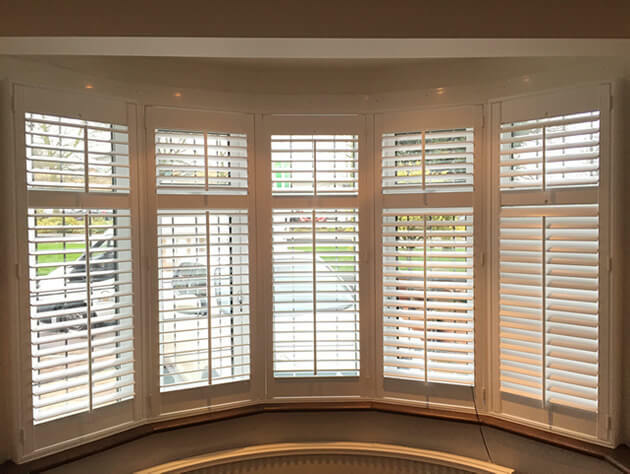 Because our shutters are bespoke made we are able to fit them at the exact angle and sizing required for all different types of bay style windows. 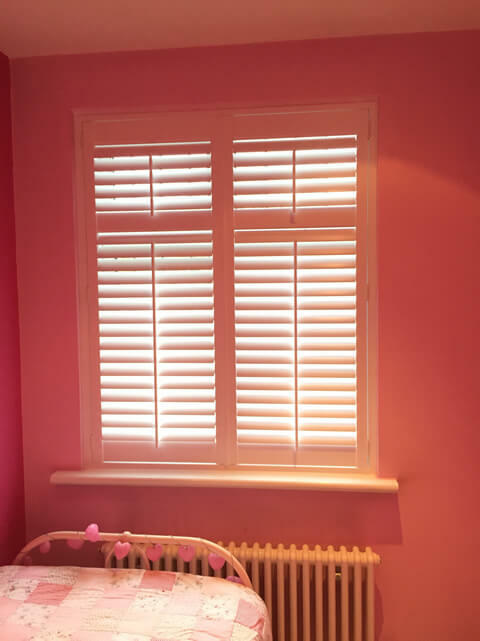 The shutters in the child’s bedroom were made up of two panels fitted into a regular style flat window. 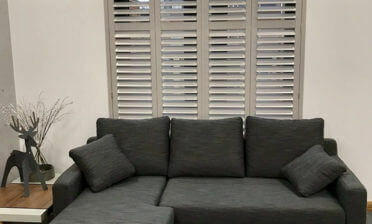 All shutters were created in exactly the same style, material and finish so that they matched throughout the whole house which looks great not only from the outside of the property, but also in each room. We used Full Height Style shutters with a mid rail near the top which also matched the lines of the windows. Using mid rails the client is able to adjust the bottom and top sections separately for maximum control of light and privacy in each room. We used 64mm louvres on all the shutters with central tilt rods on every panel. The tilt rod helps create a more traditional look while also making it easier to adjust each individual panel. You will notice that there are tilt rods above and below each mid rail for the separate adjustment. 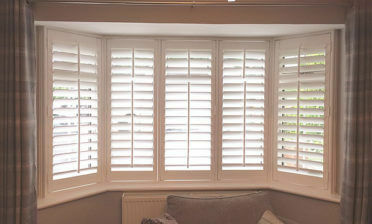 The shutters were finished in pure white with matching hinges which looks great in all rooms.